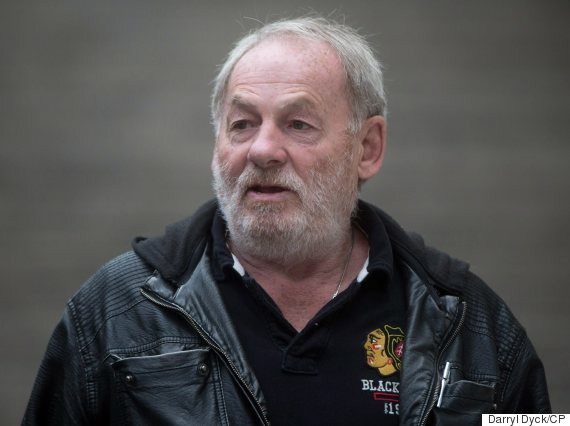 Ivan Henry spent 27 years in jail before his acquittal in 2010. VANCOUVER — The wrongful conviction of a British Columbia man who spent nearly three decades behind bars hinged on a flawed police investigation and Crown prosecutors who were willing to go to extremes to prove they'd found their man, a court has heard. Ivan Henry's lawyer John Laxton was in B.C. Supreme Court on Monday to argue that his client deserves compensation after he was mistakenly convicted in 1983 of 10 counts of sexual assault and spent 27 years in prison. "The consequences to Mr. Henry and his family have been devastating and the honour and integrity of the judicial system have been seriously harmed,'' Laxton told the court. Ivan Henry outside B.C. Supreme Court on Aug. 31, 2015. The B.C. Court of Appeal quashed Henry's convictions in 2010 following more than 40 applications for relief filed by Henry and his daughters. Reading a piece of correspondence between two Crown lawyers from 1982, Laxton said one of the prosecutors wrote that "the accused is so obvious,'' before insisting that if "one girl'' could successfully identify Henry they would be able to link the remaining cases together against him. Laxton also presented in court sections of a handwritten letter from one of the complainants sent to the private address of a police officer involved in the investigation, revealing what he described as an inappropriate relationship. "I didn't want to let you down. I didn't want to disappoint you,'' read Laxton, describing the comments as reasons offered by the woman for identifying Henry as her attacker. "This is the bedrock point of the failed police investigation,'' he said. Additional information that wasn't disclosed to defence included sperm found on several of the complainants, which Laxton said had a blood type that failed to match his client's. Henry's wrongful-conviction lawsuit names the federal government, the province, the City of Vancouver and the Vancouver Police Department. The courts initially prevented Henry from holding prosecutors liable for negligence following his acquittal. But the Supreme Court of Canada overturned that decision earlier this year. Cases of wrongful imprisonment are typically settled out of court in Canada, Laxton told the court. Henry was present in court on Monday, sitting calmly alongside one of his daughters in the crowded public gallery. He said he was happy with the proceedings so far. — Follow @gwomand on Twitter.